RUESSELSHEIM -- Opel's union has postponed a vote to make CEO-designate Karl-Friedrich Stracke the automaker's boss because of concerns about the future power structure of General Motors Co.'s European subsidiary. 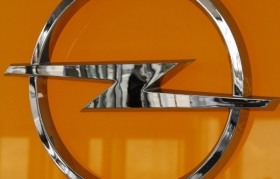 Opel's employees want assurances from GM that the unit, which transformed into a stock corporation from a privately held firm in January, will be able to act independently and delayed a vote by the company's supervisory board on Stracke's appointment until April 11, Automotive News Europe sister publication Automobilwoche reported. 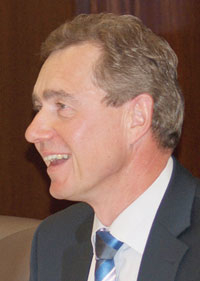 Stracke was due to assume the post on April 1. Klaus Franz, Opel's top labor leader and vice chairman of the automaker's supervisory board, said that Stracke is "absolutely the right man for the job" but he opposes the change and would be open to a counter proposal for CEO because Stracke's power would be limited. Stracke's move to Opel from GM hq has been delayed. Franz told Automobilwoche he fears that GM will create a new financial holding above Opel and give more power to GM Europe President Nick Reilly. As Opel CEO, Reilly reported directly to GM CEO Dan Akerson. Stracke will report to Reilly. Stracke has led GM's global vehicle engineering for the last year and a half.